The Grey Sea Slug , "Aeolidia papillosa" , grows to about 12cms and is common subtidally on all rocky shores around the UK. 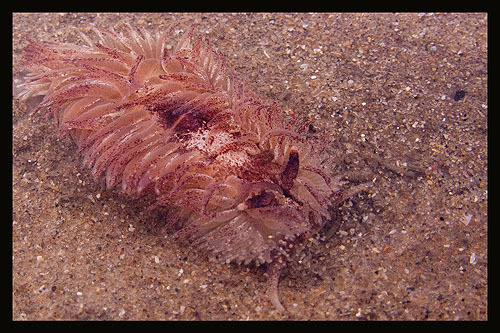 Like many nudibranchs, it is a specialised feeder and lives entirely on sea anemones, biting chunks out of their columns. Colours range from grey to a reddish brown.